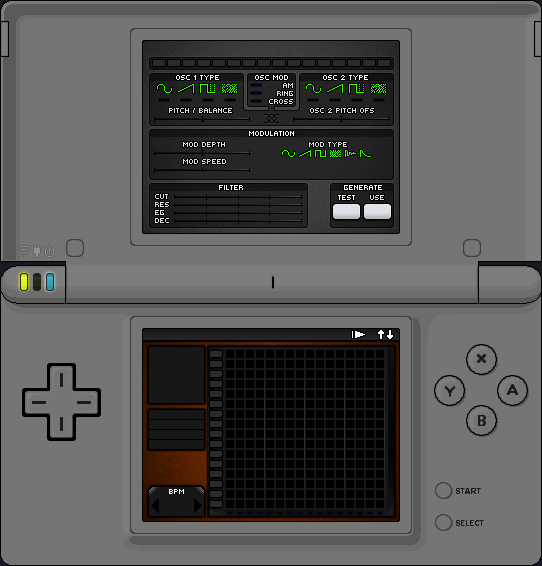 NDS Composer Applications: DrumsynthDS earlie preview mockup. We won't start the DrumsynthDS before the TonesynthDS is get FinalStage. PG and i wants to use simple GUI (like TonesynthDS). but maybe its not possible? We talk about this special version with PG.